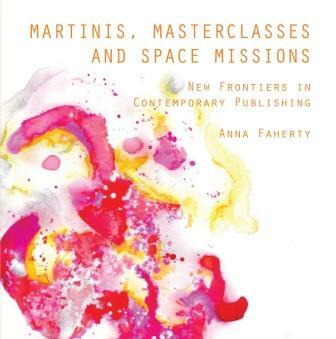 Martinis, Masterclasses and Space Missions: New Frontiers in Contemporary Publishing by Anna Faherty is an edited collection of writings and reflections from the Kingston Publishing blog. Sharing some of the hottest topics being discussed in the global publishing world, this thought-provoking anthology provides insights from Kingston University lecturers, students and graduates as well as sharing key learnings from a range of industry-based Masterclass speakers. looking beyond traditional publishing to new business models and uncertain futures. The book was designed, typeset and produced by students on Kingston’s MA Publishing course, and is published in two formats by Kingston University Press, whose list reflects the University’s Led by Learning ethos. 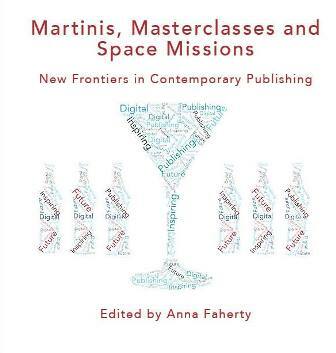 To start reading Martinis, Masterclasses and Space Missions use the link below to buy a copy from our Legend Press distributors, or download two free chapters in return for a tweet, or other social media post. We are grateful to Kingston Writing School, the Booksellers Association, The London Book Fair and Nelson Croom, all of whom supported the book launch event.